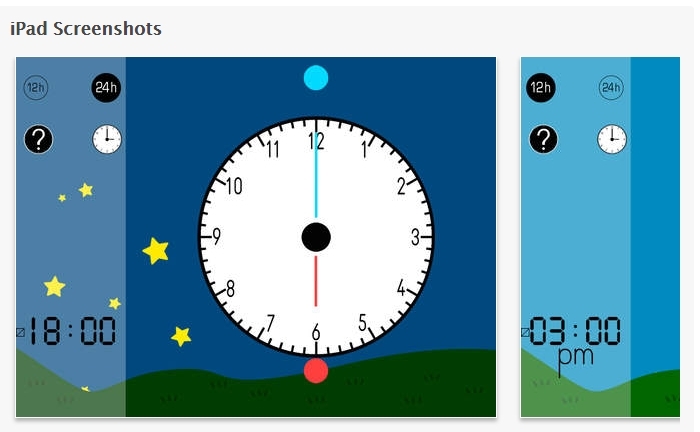 different times of the day in both 24 hour and 12 hour time formats. A rotating background indicates whether it is night or day. This can be used in many fun ways in the classroom.